There is an old proverb from Eastern Europe that says, "Who does not thank for little, will not thank for much." In other words, the person who goes through life being thankful for God's gifts and blessings usually experiences more of life's goodness - and inhabits more of God's blessings. 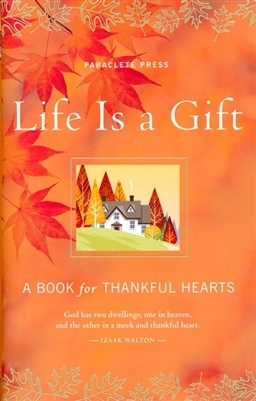 This beautiful book challenges people to live in a way that blesses God, from whom all good things come. Reflections from a wide array of authors are included: Henry Van Dyke, Abraham Lincoln, and Louisa May Alcott, as well as many songs, psalms, and prayers.